This is the site for AFCC 2016. Visit the latest festival site. 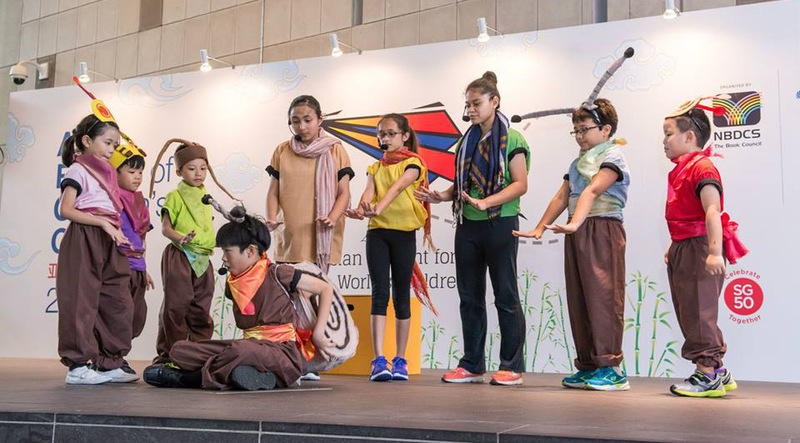 From songs and skits to artistry duels, AFCC brings you a myriad of activities that you and your family can enjoy! What happens when everyone can only write 5 words to create a story together? Make your mark on AFCC's first-ever Story Wall and watch the story build over time! For AFCC delegates only. Join this exclusive interactive concert featuring funny and contemporary Japanese children's songs and picturebook storytelling! Children can participate in dances and songs with songwriter Toshihiko Shinzawa and singer Satoko Yamano. For children aged 4-7 years old. Don't miss this age-old battle of the illustrators at AFCC! With Julia Lawrinson as the Voice of the arena, illustrator Soefara Jafney from Malaysia meets head-on with Gabriel Evans from Australia. Japanese nursery rhymes are easy to remember and have simple melodies and rhythm. Mothers can touch and maintain eye contact with their babies while singing. This programme by the International Library of Children's Literature features many Japanese picture books for infants, and are sure to capture the attention of the toddlers! We know illustrators can draw. But can authors draw? In a game of Illustrationary, we put both children's authors and illustrators to the test. Come and find out what happened to Sadako after the bombing of Hiroshima, and how folding 1000 origiami cranes gave her hope. AFCC and inwardBOUND brings you a play that has touched many hearts around the world, based on the true story of Sadako Sasaki. For children 6-9 years old. This programme by the International Library of Children's Literature is suitable for children who do not understand Japanese. It features well-known picture books of Japanese nursery rhymes and other stories with lots of onomatopoeia. Enjoy the pretty sounds of Japanese words! A grandfather suffers from Alzheimer's disease. His granddaughter, who misheard it as Arse Hammers, thought he had a superpower and could teleport to a different place. Don't miss this heart-warming story of a family overcoming the challenges of Alzheimer's. This is a special session of storytelling and sing-along by famous children’s book illustrator Yasunari Murakami. He will be using his unique fish-style ukulele for the singing session. There will be lots of fun for all children! Suitable for children aged 4-6years old. Born in Japan Gifu Prefecture in 1955, Murakami has continued to explore the charm and possibilities of expression through picture books. His work 999 tadpoles was nominated German Children’s Literature Award 2012. He was the Winner of the Graphics Prize at the Bologna International Children’s Book Fair with Pinku to "sunoo jiisan" (Pink and Uncle Snow, 1986), "Present" (The gift) (1988) and "Youkoso morie" (Welcome to the forest) (1989).